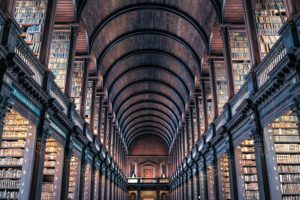 PUBLICATIONS-TAREK-KASSEM-NEURODIVERSITÉ | Tarek KASSEM, Ph.D.
Tarek KASSEM, Ph. D., ambassadeur de la neurodiversité et fondateur de la plateforme AUTISME-ASPERGER-QUÉBEC, a effectué plus d’une quinzaine d’années de recherches académiques et industrielles dans les domaines de la chimie des aminoacides et des neurotransmetteurs ainsi que dans le développement de molécules anti-cancéreuses, anti-HIV et antioxydantes. De nombreuses molécules issues des recherches de Tarek KASSEM ont fait l’objet de dépôt de brevets. Ci-dessous la liste non exhaustive de quelques publications et brevets significatifs du Dr. Tarek KASSEM. Acta Crystallogr C. 2000; 56, p1037-9. Kassem T, Rolland V, Martinez J, Rolland M.
Rolland M, Kassem T, Rolland V, Martinez J. We present the crystal and molecular structures of 2,3,6,7,8,8a-hexahydro-6,8-methano-7,7,8a-trimethyl-3-(1-methyl-2-oxopropylidene)-5H-1,4-benzoxazin-2-one, C16H21NO3, (III), and 2,3,6,7,8,8a-hexahydro-3-(2-hydroxy-1-methylpropyl)-6,8-methano-7,7,8a-trimethyl-5H-1,4-benzoxazin-2-one, C16H25NO3, (V). These compounds are two of the four key intermediates in our synthetic route to (2R,3R,4R)-4-hydroxyisoleucine. The two structures provide a full understanding of the stereochemistry in successive steps. This synthesis was based on a new optically pure chiral oxazinone auxiliary derived from (1R,2R,5R)-2-hydroxypinan-3-one. Kassem T., Wehbe J., Rolland-Fulcrand V., Rolland M.,Roumestant M.L., Martinez J. A short four-step synthesis of (3R,4R,5R)-4-hydroxyisoleucine lactone with total control of stereochemistry is reported, the key intermediate being the didehydroamino acid derivative arising from an aldol dehydration reaction between a glycine anion equivalent and butan-2,3-dione. Wehbe J., Kassem T., Rolland V., Rolland M., Tabcheh M., Roumestant M.L., Martinez J. A short asymmetric synthesis of optically pure β-substituted β-hydroxy aspartates is described. The key step is an aldol reaction between a glycine enolate derived from an oxazinone intermediate used as chiral auxiliary and various α-keto esters. Excellent diastereomeric excesses are obtained. 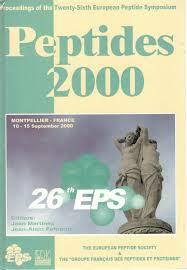 Peptides 2000, Proceedings of the European Peptide Symposium, 26th, Montpellier, France, Sept. 10-15, 2000 (2001), 375-376. Kassem T.; Rolland V.; Roumestant M.L. ; Martinez J.
Polyfunctionalized β-​hydroxy α-​amino acids were synthesized via the asymmetric. aldol reaction of α-​keto esters and α-​diketones. The major step in this technique involves a stereoselective addition of ketone with a chiral auxiliary derived from 2-​hydroxypinan-​3-​one. Removal of the chiral auxiliary yields polyfunctionalized β-​hydroxy α-​amino acids which will be used in combinatorial chemistry. Schlienger N., Peyrottes S., Kassem T., Imbach J.L., Gosselin G., Aubertin A. M., Périgaud C.
The synthesis and biological activities of phosphotriester derivatives of 3‘-azido-2‘,3‘-dideoxythymidine (AZT) bearing a phenyl group or l-tyrosinyl residues are reported. 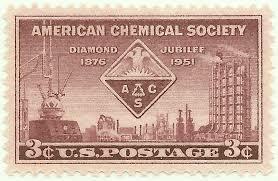 The target compounds were obtained via either PV or PIII chemistry from the appropriate aryl precursors. 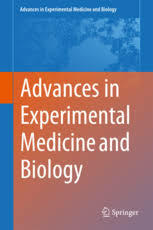 All the derivatives were evaluated for their in vitro anti-HIV activity, and they appeared to be potent inhibitors of HIV-1 replication in various cell culture experiments, with EC50 values between the micro- and nanomolar range. Furthermore, compounds incorporating an amino- and/or acid-substituted tyrosinyl residue demonstrated significant anti-HIV effects in thymidine kinase-deficient (TK-) cells showing their ability to act as mononucleotide prodrugs. The proposed decomposition process of these mixed mononucleoside aryl phosphotriesters may involve esterase activation followed by phosphodiesterase hydrolysis. Publication industrielle sur la chimie des antioxydants. Int J Cosmet Sci. 2008 Dec;30(6):475. Gelo-Pujic M., Desmurs J.R., Kassem T., Delaire S., Adao A,. 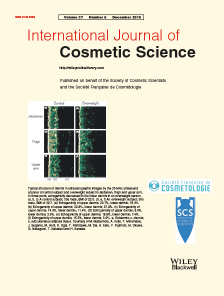 Tawil D.
The aim of this study was to synthesize new precursors, combinations of well-known antioxidant molecules: resveratrol, lipoic acid and vitamin E to improve their photo-stability and to modulate their lipophylic character. Active antioxidants are available through a controlled release by the action of skin enzymes upon a topic application. Two conjugates are described, the combinations of resveratrol-lipoic acid (6) and resveratrol-vitamin E (10). Both compounds are new molecules. 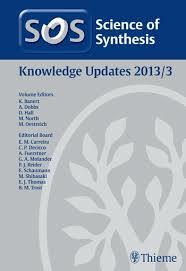 This work describes their synthesis, characterization, stability study and in vitro biohydrolysis. Stratum corneum enzymes efficiently hydrolysed in vitro precursor 6 and liberate both active molecules, resveratrol and lipoic acid over the period of 72 h. Precursor 10 was hydrolysed in vitro by combination of Stratum corneum enzymes and the cholesterol. 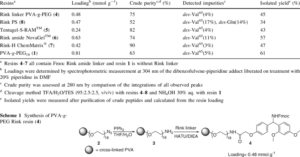 Kassem T., Jia X., Zhu X. X., Lubell W. D.
The good swelling and high loading of poly(vinyl alcohol)‐graft‐poly(ethylene glycol) (PVA‐g‐PEG) resins proved to be effective for performing supported proline‐catalyzed aldol reactions stereoselectively in a wide range of polar non‐protic, protic and non‐polar solvents as well as in neat substrate. The catalysts could be recovered by filtration and recycled, without significant loss of activity. The use of poly(vinyl alcohol)‐graft‐poly(ethylene glycol) matrix improved the solubility of the proline‐derived catalysts and expanded the scope of permissible solvents for performing selective aldol chemistry. 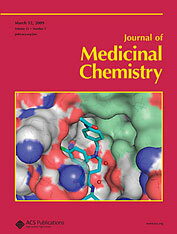 Kassem T., Zhu X. X., Lubell W. D.
PVA-​PEG-​supported hydroxyproline resin (prepd. by reacting N-​Boc-​O-​propargyl-​4-​hydroxyproline tert-​Bu ester with azide PVA-​PEG20-​N3 via click chem.) was used as a catalyst for asym. aldol reaction of acetone with p-bromobenzaldehyde at room temp. Examn. of the aldol product, 4-​BrC6H4CH(OH)​CH2COCH3, by chiral HPLC indicated an enantiomeric excess value of 70​%. 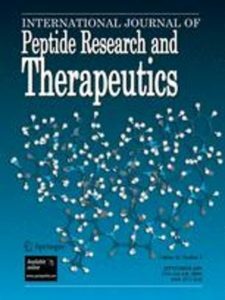 International Journal of Peptide Research and Therapeutics (2009), 15(3), 211-218. Kassem, T., Sabatino, D., Jia, X.; Zhu, X. X.; Lubell, W. D.
A comparative study is presented on the solid-​phase peptide synthesis (SPPS) of the acyl carrier protein (ACP 65-​74) sequence on a series of Rink amide resins possessing different matrix structures: poly(vinyl alc. 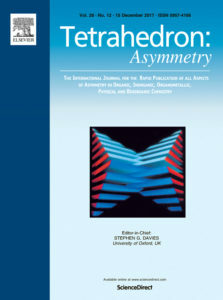 )​-​graft-​poly(ethylene glycol) (PVA-​g-​PEG, 4)​, Tentagel-​S-​RAM (TG, 5)​, NovaGel (NG, 6)​, ChemMatrix (CM, 7) and polystyrene-​divinylbenzene (PS-​DVB, 8)​. In this comparison, the PEG-​contg. resins proved significantly better suited for the synthesis of pure ACP target sequence than the conventional PS-​DVB solid supports (75-​90​% vs. 52​% crude purity)​. Kassem, T., Luo, J., Sabatino, D., Jia, X.; Zhu, X. X.; Lubell, W. D.
New polymer matrixes have been developed and have demonstrated efficacy as supports for peptide synthesis and org. catalysis. These resins consist of a core made of cross-​linked poly(vinyl alc.) 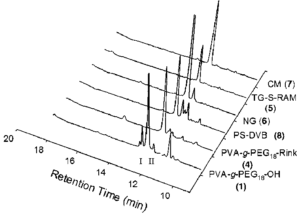 (PVA) with grafted poly(ethylene glycol) (PEG) bearing various functional groups. For example, a new class of supported L-​hydroxyproline catalysts were synthesized on the PVA-​g-​PEG resin. Stereoselective catalysis was performed using the new proline resins in aldol reactions in a variety of polar and non-​polar solvents, as well as in the absence of solvent. Luo, J., Kassem, T., Jia, X., Lubell, W. D., Zhu, X. X. Even with the success of Merrifield resin in solid phase synthesis, to meet the growing need in combinatorial chemistry and organic synthesis, people are still in search of polymer supports and scavengers with better solvent compatibility and higher loading, esp. in the one-​bead-​one-​compd. applications. We have made several new types of cross-​linked polymers that can be used as supports and scavengers in peptide synthesis, catalysis and on-​bead spectroscopic characterization of compounds. There are provided poly(vinyl alcohol) polymers and copolymers containing vinyl alcohol or vinyl acetate and derivatives thereof such as poly(ethylene glycol)-grafted poly(vinyl alcohol) polymers or polyether-grafted poly(vinyl alcohol) polymers. These polymers can contain various functional groups. Such polymers can be use as polymer matrix or solid support for various chemical substrates such as organic substrates and reagents. Cross-linked poly(vinyl alcohol) polymers and copolymers are also provided. Methods for preparing such polymers as well as several of their uses are also included. Inventeurs: RHODIA CHIMIE SA [FR]; CHANEL PARFUMS BEAUTE [FR]; DELAIRE SABINE [FR]; ADAO ADRIEN [FR]; DESMURS JEAN-ROGER [FR]; GELO-PUJIC MIRJANA [FR]; SAINT-JALMES LAURENT [FR]; KASSEM TAREK [FR]. The invention concerns a cosmetic, therapeutic, in particular dermatological, bioprecursor of formula [A]n -PP – [B]m wherein: PP represents a polyphenol radical where each hydroxyl function is protected by a group A or a group B; A is a saturated or unsaturated, substituted or unsubtituted alkyl chain, comprising 1 to 20 carbon atoms, preferably, 1 to 4, which is bound to the polyphenol by: a carboxylic ester function on one hydroxyl function of said polyphenol; or via an A’ spacer, wherein A is bound to A’ by a carboxylic ester function, and A’ is bound to the polyphenol by a carboxylic ester function on one hydroxyl function of said polyphenol; n represents an integer not less than 1, in particular 1, 2, 3, 4 or 5; B is a precursor of a biologically active molecule, which is bound to the polyphenol by: a carboxylic ester function on one hydroxyl function of said polyphenol; or via a spacer B’, wherein B is bound to B’ by a carboxylic ester function, and B’ is bound by a carboxylic ester function on one hydroxyl function of said polyphenol; m represents an integer not less than 1, in particular 1 or 2. An update of the previous contribution on 1H-pyrroles covering the literature to 2011 and > ( more than 900 references).